It’s a terrifying experience (to say the least) to wake up to an eye infection. Not to mention, it’s also incredibly painful. With that said, there’s still much you can do about it. 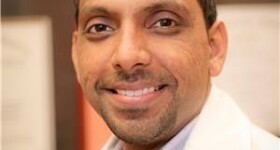 For starters, you’re going to want to reach out to proper professionals as soon as possible. 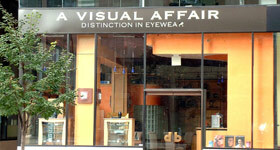 Head over to A Visual Affair, so you can finally receive top-notch care from our ophthalmologist near Arlington. Before anything, let’s cover the thing you might already be wondering about, “What causes an eye infection?” In a nutshell: contact lenses. That’s right. Although millions of people use them, contact lenses pose a very serious risk of infection—especially for people who aren’t the most disciplined with cleaning them. Infections are most commonly developed within the cornea—an infection known as Keratitis. Some of the symptoms of this infection include: sensation of something stuck in the eye and extreme light sensitivity. The following contact lens-related bad habits also contribute to the development of Keratitis: wearing them for too long, poor maintenance/hygiene, environmental factors. You shouldn’t have anything to worry about if you can commit yourself to avoid any of the previously mentioned habits. With that said, if you aren’t one of the lucky ones and you do need treatment for it as soon as possible, don’t hesitate to visit A Visual Affair. Our amazing staff provides top-notch service. So don’t deprive yourself of finally overcoming that infection—head over to our location for top-notch care from our ophthalmologist near Arlington. That’s all there is to it. The ball is officially in your court. Take the first massive step by scheduling an appointment with A Visual Affair. Do so via phone or e-mail—whatever is easier for you. And after that? Well, you’ll only be a hop and a skip away from meeting with our ophthalmologist near Arlington.